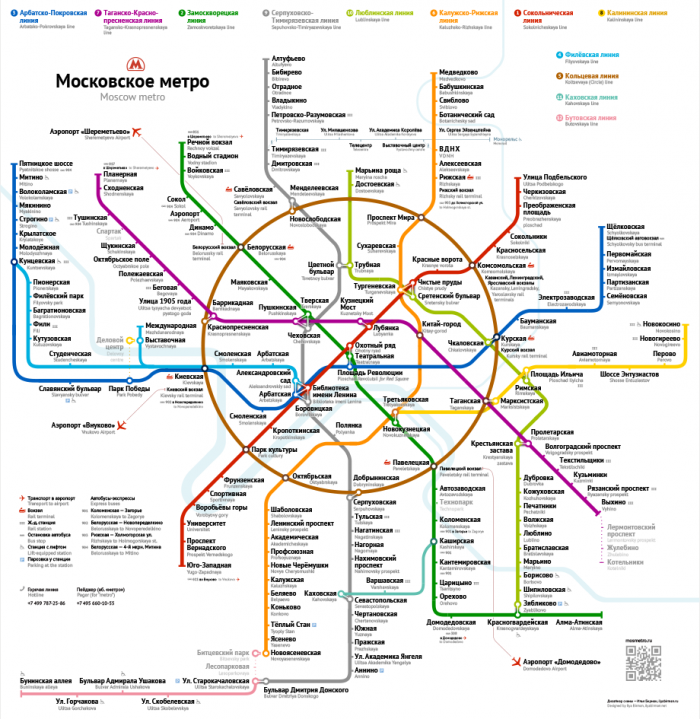 Will it be easy to find my way in the Moscow Metro? It is a question many visitors ask themselves before hitting the streets of the Russian capital. 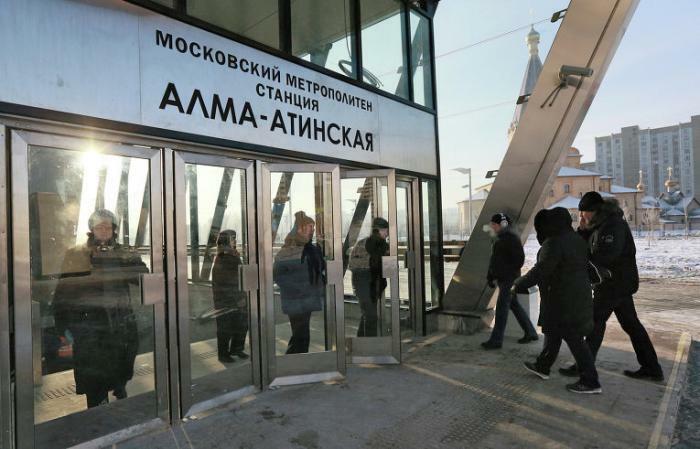 As the metro is the main means of transport in Moscow – fast, reliable and safe – having some skills in getting oriented there going to help make your visit successful. Not to mention the fact it is the most beautiful metro in the world. 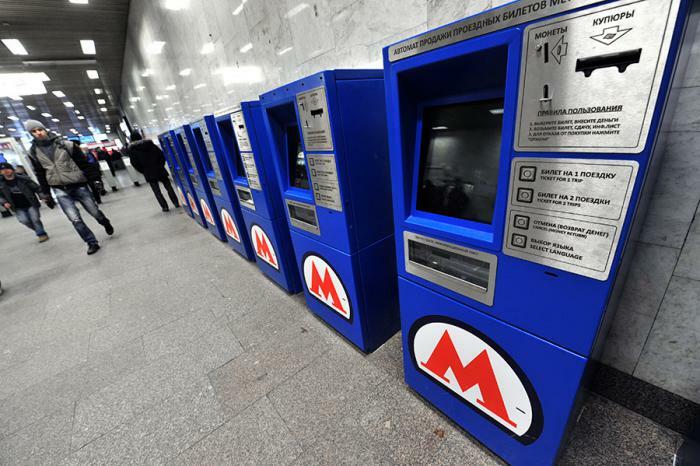 There are almost 200 stations in the Moscow Metro. It goes within the city borders only, while suburban trains are the part of a completely independent system. Trains run pretty fast and frequently – the intervals between them being from 90 seconds in a peak hour to 4-5 minutes late at night (the metro is open until 1 am). Distances between stations are quite long – 1,5 to 2 or even 3 kilometers. The price of your trip does not depends on how far you go – you pay just to enter. There are tickets for one, two, five, 10, 20, 40 or 60 trips and of course the more trips you buy the cheaper each trip is. Whatever the number of trips the card is, it is one single piece of cardboard. You can buy a ticket for, let’s say, five trips and share it with your traveling partner passing it from one to the other while passing through a turnstile. The price of one journey ticket for a single trip is 50 rubles, which is about $1 right now. When you buy a ticket for more than two trips the price of one trip goes down – for example five rides will cost you 180 rubles total. You can get a ticket in a ticket office or in a machine, it has the English menu. At the moment there are tickets for one, two or five rides available in a machine. The name of a station is written above the entrance. 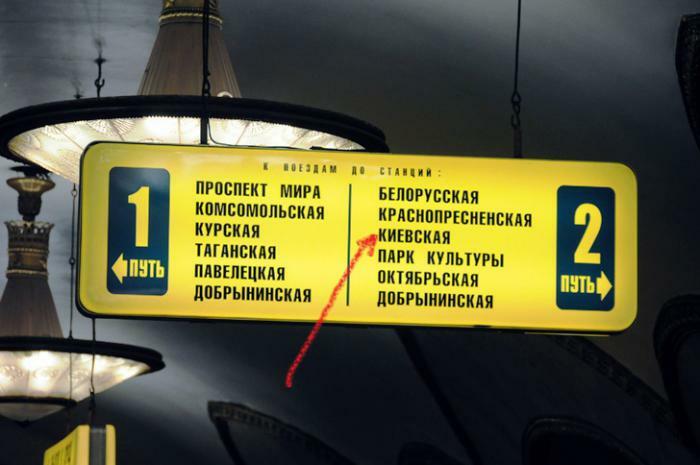 The name of a station goes right after the word СТАНЦИЯ. In our case it is АЛМА-АТИНСКАЯ. 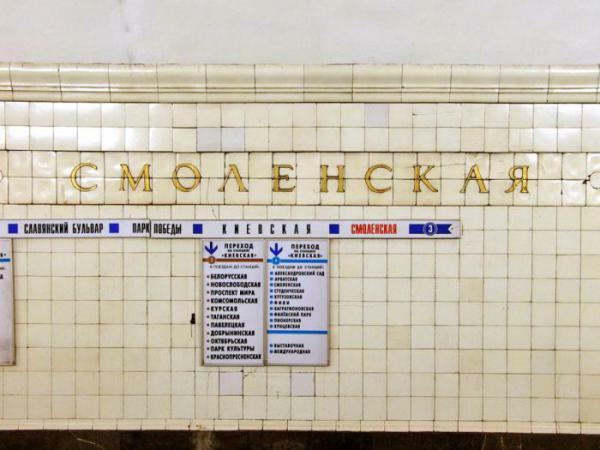 These signs placed on the floor will lead you to the right passageway (to the line 3 or 5; to the blue or the brown one - the Muscovites normally distinguish lines by color). Keep in mind, that there is a name of the station written on the sign and not the name of the line. Sometimes two stations on two different lines the same names even if it is where you change, like here; sometimes the names are different. This sign is also to help you to find out which train to take. So, to get to КИЕВСКАЯ, take a train on the right-hand side and get off the third stop. 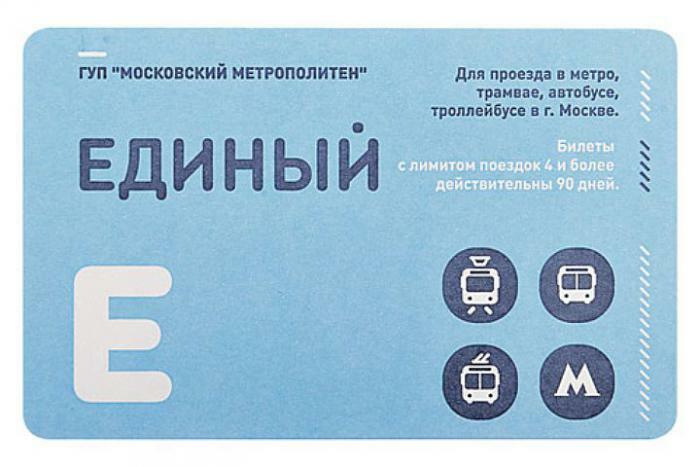 The main complaint I hear from the non-Russian speaking metro passengers: I cannot read Russian. But what do they mean by “to read”? To understand the meaning of a word? To know its pronunciation? All these things are not the musts to get oriented. You don’t really need that to get around. Just compare the characters of the name of the station you need with the ones on the sign. To me it worked pretty well even dealing with such alphabets as Armenian and Georgian which are far more different from Latin than Cyrillic.